"Alfred Hitchcock very much lived an artist’s life, and the boundaries between his daily life and art were very much blurred. He ate, drank and slept filmmaking. That's why he amassed this art collection, and I think it was part of a larger strategy to become his films; so that in the writing and producing of them, they would come from a deep, personal space." 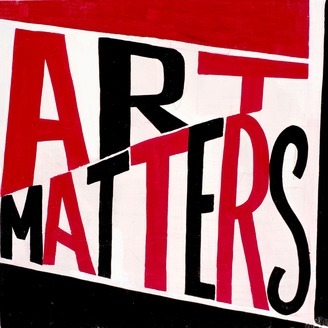 That's what I said to Ferren Gipson in an interview for her Art Matters podcast. We discussed Hitchcock's deep connection to modern art, and how influences from his favorite creators—guys like Paul Klee, Auguste Rodin and Edward Hopper—show up again and again in his movies. It was a wonderful, far-ranging conversation—and she caught it all on tape! Wide, ranging, speculative and thought-provoking, I sat with my friends to talk about, as they put it, Hitch's "cameos; what it would be like to meet Hitchcock; his second-to-last film, Frenzy; and other Hitchy tidbits." "That vertigo-suffering fellow to the right is Joel Gunz, an archtypical Portland polymath -- writer, adman, jazz drummer, artist, distiller and, for our purposes here, rabid fan of Alfred Hitchcock (which, let's face it, is true of every movielover with taste)." "The Hitchcock geek Joel Gunz joins the guys this week to discuss everything about filmmaker Alfred Hitchcock, from his famous cameos to his voyeuristic tendencies in his filmmaking style." Matt Davis gets to know me and my geekery a bit better. "One of my favorite blogs, Hitchcock Geek, happens to be produced by Portlander Joel Gunz. I suggest that its local production is a coincidence because it was only after reading the blog for a few months that I clicked on the “about” tag and realized I could probably figure out a way to actually go share a burrito with the website’s creator, over the summer."